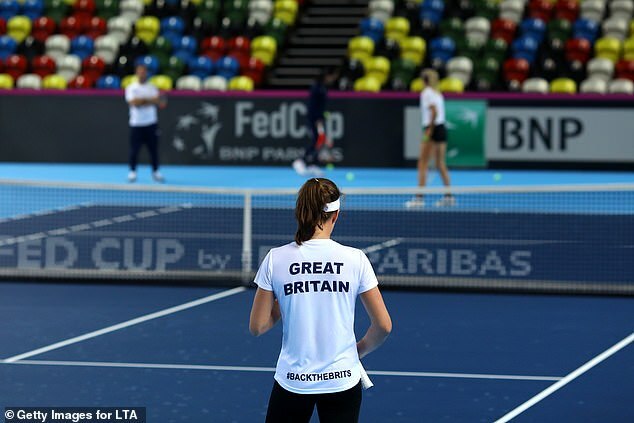 Great Britain are gearing up for their pivotal Fed Cup clash with Kazakhstan and ahead of that World Group II play-off, Anne Keothavong’s side have prepared for it in a novel way. Victory for Great Britain at the Copper Box Arena this weekend will see them reach the World Group for the first time in 26 years. 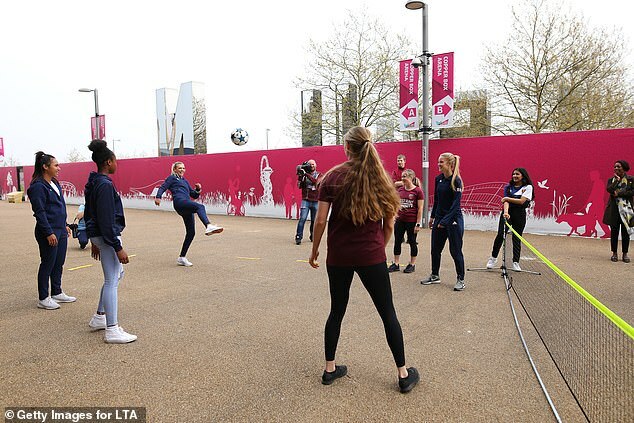 And ahead of that tie, the Fed Cup squad took on West Ham United Women in a game of football tennis. 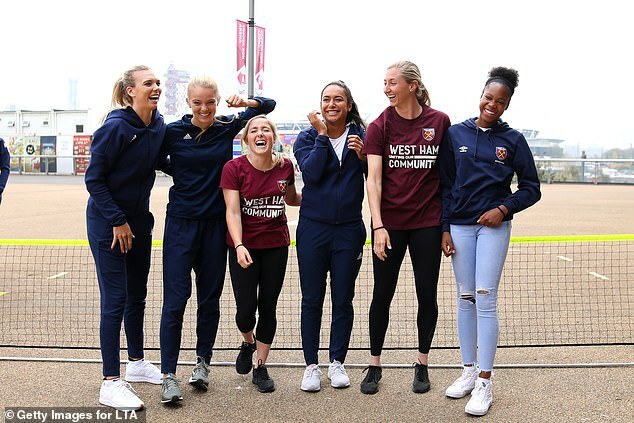 Johanna Konta, Katie Boulter, Heather Watson, Harriet Dart and Katie Swan were all present on Tuesday as they took on West Ham quartet Tessel Middag, Brianna Visalli, Anna Moorhouse, Brooke Hendrix in a friendly game against the backdrop of east London’s Queen Elizabeth Park. 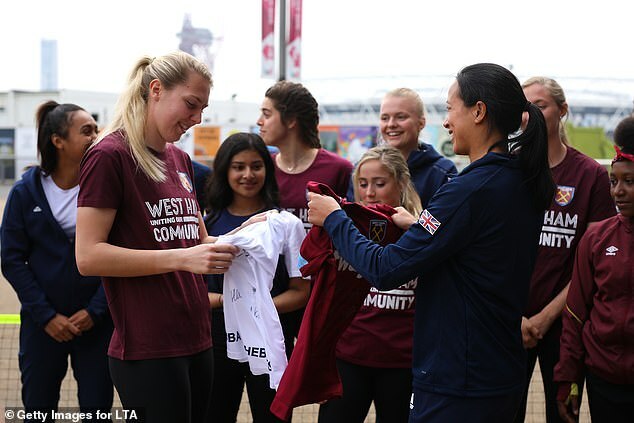 After the spectacle both sets of players met and spoke with members of West Ham United Foundation’s Youth Forum. 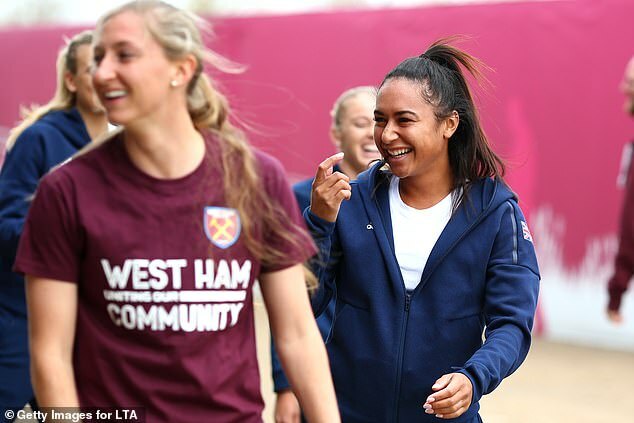 Speaking ahead of their tie with Kazakhstan, captain Keothavong says she has named her strongest squad possible. 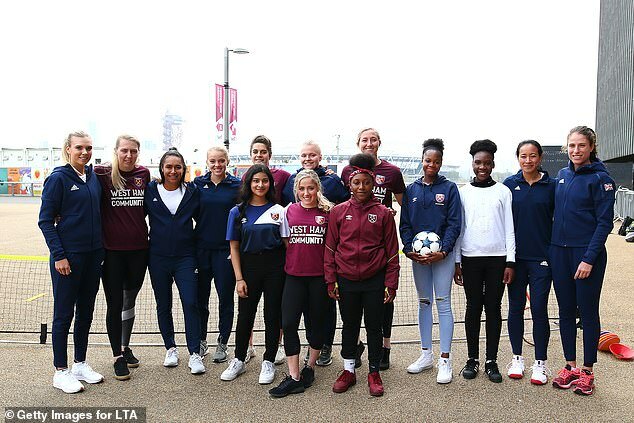 ‘I’m delighted to name our strongest possible team to represent Great Britain at Copper Box Arena in 10 days’ time against Kazakhstan,’ she said.